Hey guys! Under the microscope this Serial Killer Saturday are the two perpetrators of the Columbine High School Massacre- 18 year old Eric Harris and 17 year old Dylan Klebold, from Denver, Colorado. 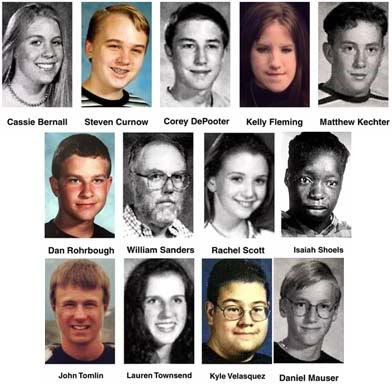 I have been highly interested in the details of the Columbine Massacre ever since I heard about it. I really wanted to include it in my Serial Killer Saturday series. However, I feel that the background and the events leading up to the massacre are so important, and I think the massacre itself can't be understood without talking about these events. So I've decided to break this into a two part blog post. Part one will deal with the events leading to the massacre to the day of the massacre. Part two will deal with the shooting and the aftermath. So let's get into it. When? Victim count? April 20th, 11:19am to 12:08pm. 13 victims. Rachel Scott- 17. Daniel Rohrbough- 15. William David Sanders- 47. Kyle Velasquez- 16. Steven Curnow- 14. Cassie Bernall- 17. Isaiah Shoels- 18. Matthew Kechter- 16. Lauren Townsend- 18. John Tomlin- 16. Kelly Fleming- 16. Daniel Mauser- 15. 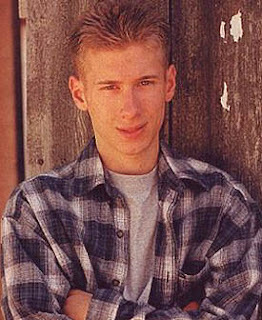 Corey DePooter- 17. Eric Harris- 18. Dylan Klebold- 17. 24 non fatal injured. Though the motives for the massacre remain somewhat unclear, personal documents and journals said that they wished to rival the Oklahoma bombing, which occurred April 19th, 1995. The Columbine Massacre is known as the ''deadliest high school shooting in U.S history''. The massacre sparked massive debate all over America over gun control, cliques, goth subculture, bullying, violence in video games, internet use, and anti-depressant use. According to early accounts, Eric and Dylan were very unpopular students, and were targets of bullying. However, reports of the two being outcasts were known to be false and exaggeration. In 1996, Eric Harris created a private website just for friends on website America Online. Its purpose was to host gaming levels of the video game Doom. On it, he began a blog and shared his thoughts on family, friends and his parents. He also created instructions on how to make explosives. In 1997, his thoughts showed signs of Harris' ever growing hatred towards society. 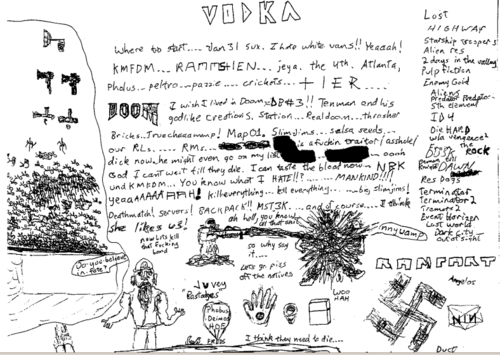 Dylan Klebold gave the website address to friend Brooks Brown, whose mother filed numerous complaints about to Jefferson County police against Eric Harris, as she thought he was dangerous. This was following a fallout between Brooks Brown and Eric Harris, after he threw a lump of ice of Brown's car wind shield. The website contained numerous death threats to Brown. Dylan knew that Brown could inform the parents and the authorities of the website. After Brown's parents saw the death threats, they again contacted the authorities. Investigator Michael Guerra found numerous threats aimed at Columbine staff and students, and his hatred of society. It was noted that Harris could make pipe bombs. The website also revealed a gun count, an explosive count, and a hit list, on it was Brooks Brown. Guerra made a draft affidavit to search the Harris household. It was never filed. It was concealed by Jefferson County police, until it resurfaced in 2001, following an investigation of the massacre. In 1998, Harris and Klebold stole tools from a van in the nearby town of Littleton. Both were arrested and were required to attend a juvenile diversion programme and anger management classes. Harris also attended therapy. Klebold had a history of drinking and had failed a urine test. Neither were required to attend substance abuse classes.Following positive feedback, they were released early from the programme and were on probation. Harris' blog had vanished and the website was restored to its original purpose- to host gaming levels of Doom. He started to write his thoughts in a written journal. 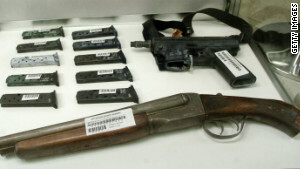 Harris dedicated a section of his website to record the progress of he and Klebold's growing gun and bomb collection. Harris complained of depression, anger and suicidal ideation and was prescribed Zoloft, but was switched to Luvox when he complained of restlessness and lack of concentration. Both kept journals after their arrest, and documented their gun and explosive collection with secret videotapes. Their journals documented plans to escape to Mexico after hijacking an aeroplane at Denver airport and crashing it into a building in New York City. They hoped to set explosives in the cafeteria and shoot fleeting survivors. then as emergency services and reporters would arrive, bombs planted in their cars would detonate. In the massacre, the bombs failed to detonate. They shot videos practising target shooting. On April 20th, 30 minutes before the attack, they made a final video, apologising and saying goodbye to friends and family. In the months leading up to the attack, they acquired two 9mm firearms, two 12 gauge shotguns, which were bought from a private dealer, which meant no background search, no waiting period, no paper trail. They constructed 99 explosives on different shapes and sizes. On the 20th of April, Harris was armed with a 12 gauge pump action shotgun and a Hi Point 995 Carbine 9mm Carbine with 13 10 round magazines, which was fired 99 times. 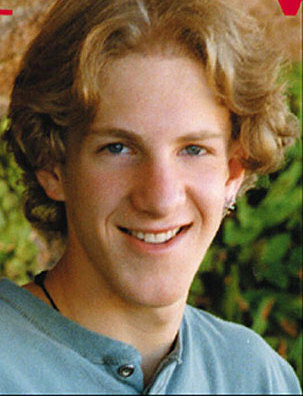 Klebold was armed with a 9x19mm Intratec TEC-9 semi automatic handgun and a 12 gauge Stevens 311D double barrelled sawed off shotgun. At 11:10am, Eric Harris and Dylan Klebold arrived in separate cars at Columbine High School, ready to carry out the bloodiest high school shooting that the world had ever seen, and would shock a nation to its very core. Ammunition used in the massacre.